It's almost Christmas, and you couldn't buy a gift? Beauty boxes are the answer. 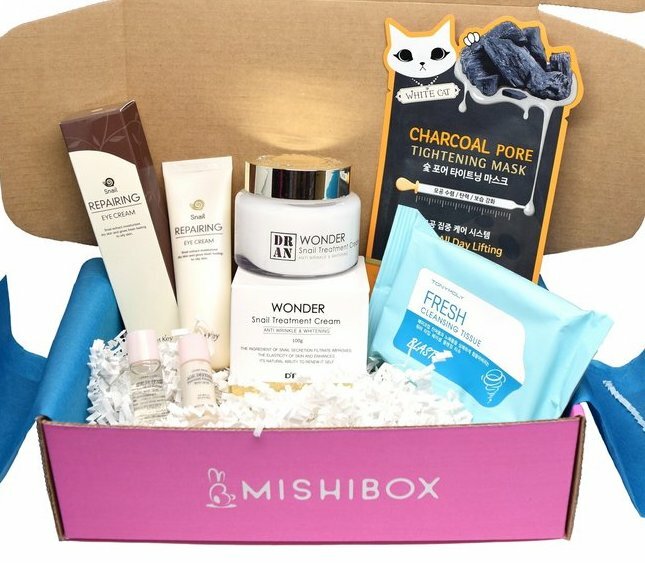 Why beauty boxes, and why ones that ship worldwide? 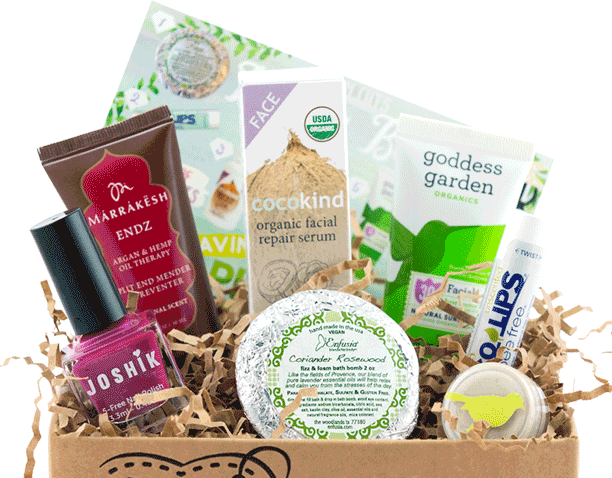 If you are looking for an unforgettable and special gift for a beauty lover, or a lasting treat for yourself, look no further than a beauty box subscription. It is a gift that keeps on giving; the recipient will remember - and thank - you each month as they get a lovely surprise box. Prolonged pampering. One opinion I get in my inbox regularly is that very few beauty boxes are available outside of the USA. Not true! Many countries have their own (my own has at least four of them that I know of), and there are even more beauty boxes that ship worldwide. So you get half a dozen or so beauty products from another country, from brands you have not tried before, and come to understand beauty trends and the industry, and the market, in those regions - what is not to love about that? 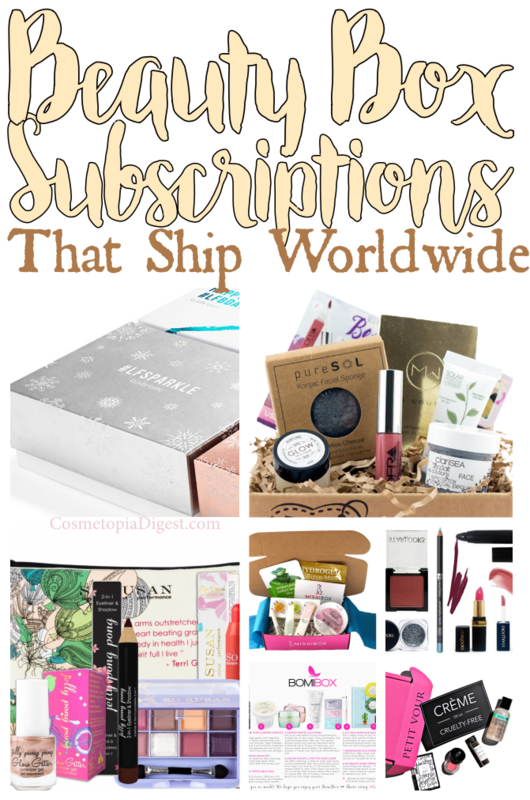 Scroll down for the best monthly beauty box subscriptions that ship worldwide. My personal favourite. Beautiful packaging (differently designed, luxurious box each month. Product card is a magazine), great customer care, and wow products when they get it right. They often include the latest issue of Elle UK magazine. There are usually six products on an average. Mostly skincare-centric, with 1-2 makeup products per box. Monthly: £13 if long-term sub. £15 for individual boxes. No need to pre-pay. Includes worldwide tracked shipping for long-term subs. Check out my unboxings here. I mean, full-sized makeup only. 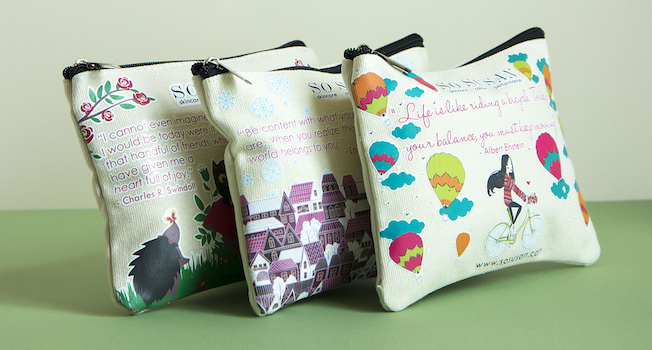 Comes in the world's cutest beauty bags each month. 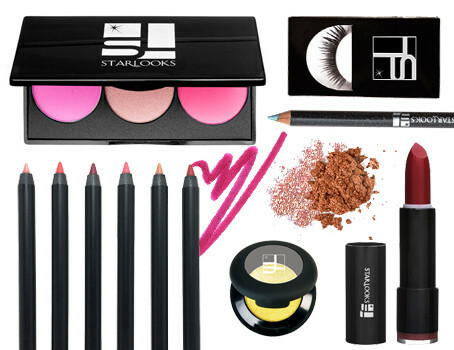 There are 5-8 products per month, ranging from eyeshadow palettes, lippies and mascaras to face makeup. Everything is cruelty-free. 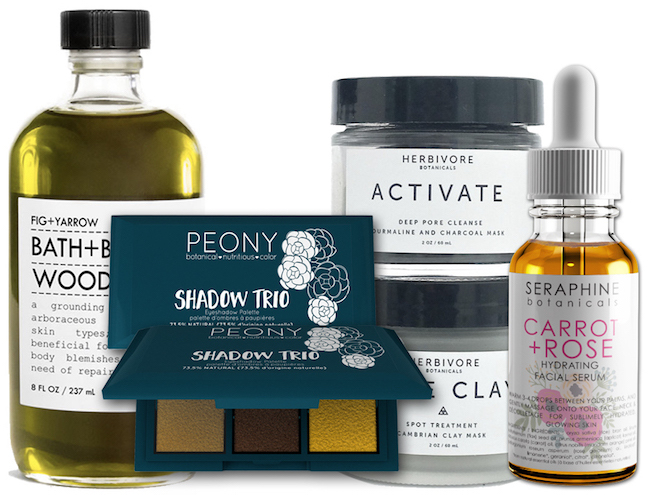 100% vegan, cruelty-free beauty products, delivered to your doorstep every month. What IS not to love? Contains six products on an average. Includes makeup, skincare and bath and body products - a mix of full- and sample sizes. They have a quarterly makeup-only box here. $37 inclusive of shipping worldwide. $15 if you are in the US. Korean beauty box. Mostly skincare, with some makeup. Always great value for money. Mix of full and mini sizes. Five to six products per box. Includes instructions in English. $19.95 per box. Shipping fees vary from country to country - check out yours here. All makeup. They offer two kinds of boxes - full-sized and perfect-sized. The former contains 3-4 full-sized products, while the latter contains deluxe-sized products. Full-sized Starboxes cost $17 a month while Perfect-Sized boxes sell for $12. Prices include US shipping. International shipping will have to be calculated at checkout, depending on your country. Remember Memebox's fabulous boxes with those detailed product cards - before Memebox went bonkers? Bomibox's product cards are dead-ringers for the ones in Memebox. This is a relatively new subscription, so it remains to be seen how they shape up. For now, though, they've been doing very well with eight products on an average - a beautiful mix of skincare and makeup. I'll be observing them with interest before deciding to subscribe - I miss a K-beauty box very badly. Costs $37 per month; $34 if you go for a 12-monther (needs prepayment). US shipping is free. International shipping is calculated at checkout and varies. Another cruelty-free box. This one is also vegan, entirely ethically-sourced, and non-toxic. You get at least four products per month, with a net worth of $35 or above. $25 INCLUDING shipping worldwide. $15 US; $23 Canada. Three full-sized cruelty-free beauty products - including makeup and skincare - and one eco-friendly tote bag each month. $34.95 including worldwide shipping. $31.95 for longer subs. I hope this post was useful. 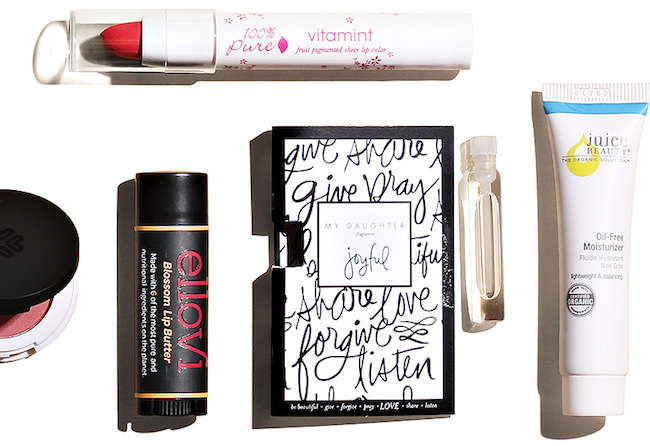 Do share it with other beauty box junkies you know - there are share buttons right below.